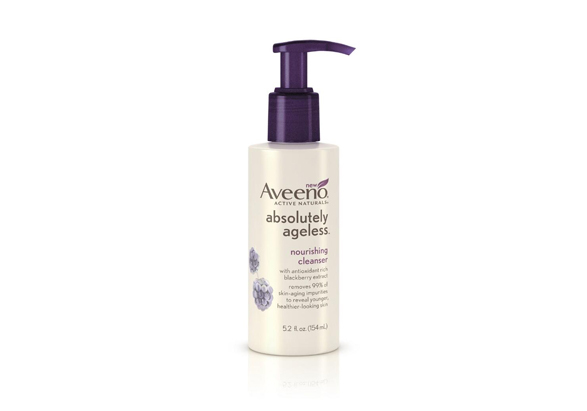 AVEENO® ABSOLUTELY AGELESS® INTENSIVE RENEWAL SERUM is rated 4.7 out of 5 by 171. Nutre brindándote una piel más saludable y de aspecto más joven en solo una semana. 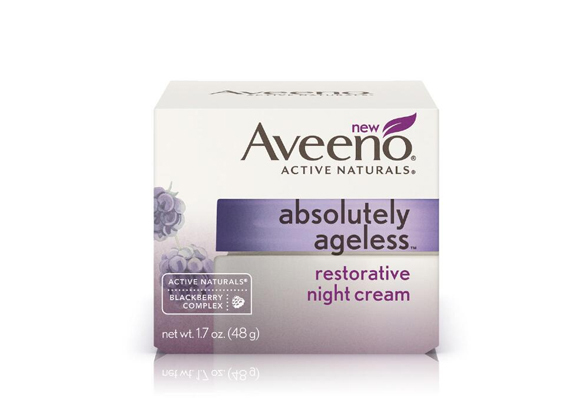 Mejora el aspecto de tu piel y reduce visiblemente las arrugas con AVEENO® Absolutely Ageless™ Intensive Renewal Serum. En una semana, esta fórmula clínicamente comprobada mejora la apariencia de las finas líneas de expresión, hidrata y mejora la textura de la piel, y nutre profundamente la piel dándole un aspecto saludable. Además, fortalece la barrera para la humedad natural de la piel, manteniendo un aspecto saludable con el uso continuo. 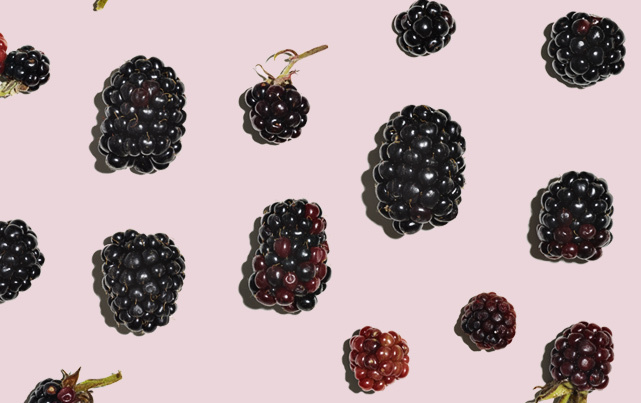 Este suero antiarrugas tan suave como potente contiene una concentración del complejo de zarzamoras con vitaminas, antioxidantes y potentes ingredientes antiarrugas para que tu piel luzca más joven, saludable y humectada por más tiempo. Rated 5 out of 5 by Mhanscom from PLEASE BRING BACK!!! Why did you discontinue this product??? I can't find it anywhere in my local CVS. This serum was amazing. Rated 1 out of 5 by amy1234 from Very Strong Fake Fragrance I just bought this and could only use it once. It has a very strong, cheap, chemical fragrance, like perfume or aftershave. I am very disappointed!! I thought an Aveeno product would have either no scent or a NATURAL scent. This smells like a cheap Dollar Tree product. I am out my purchase price, as I threw away packaging and receipt before I tried it. Why Aveeno would put such a strong, fake fragrance in a product that goes on one's face is beyond me. It may well be effective but I'll never know. Rated 1 out of 5 by Pam from I wouldn't recommend this product for people with sensitive skin or prone to allergic reactions. I thought I could use it due to its natural ingredients but apparently I am allergic to something in this product and woke up the morning after using it with a serious rash that looked like a bad sunburn with hundreds of tiny red bumps that were extremely itchy. 3 days later went to a Dr who prescribed steroid pills for a few days which helped. Rated 5 out of 5 by Alexis from Great product The entire ageless line is fabulous , it's really working well on my skin. I used to buy very expensive products, but with Aveeno I found a great and affordable alternative. Rated 5 out of 5 by Angelina from Love this stuff I wasn't really sure at first about this brand , only because I always heard much reviews about it. I'm so glad I tried it and loved it. I live by this now and my skin looks and feels amazing. Its light weight and a little goes along way. Rated 5 out of 5 by 3G from Perfect product I didnt expected that much when I choose this. But at the first time use this one, I was surprised. Doesn't sticky at all, absorbed so smoothly. This one make skin so silky even during nite and next day still skin is so smooth. 100 percent satisfied. And price is so thankful. I Dont need more money for expensive product. Excellent product!!! Rated 5 out of 5 by Dot from EXCELLENT PRODUCT I love this product. The minute you put it on your face you can feel the difference. I am 58 and look 48. I love this product and give it a 10!! Rated 4 out of 5 by Dana from Day one: Improvement! I'd like to give this a 4.5: On the very FIRST use I instantly noticed smooth, soft, silky texture to my skin. I have good skin DNA to start with, but in the last two years or so (almost 59, look like early 40's,) I've noticed more fine lines around the outskirts of my cheekbones, a little around the mouth and of course, the outer part of my eyes. All a part of aging, but slowing that down is optimal. This serum makes my skin SO SILKY SMOOTH. My fine lines are still there, but just a bit less noticeable. This is one product that has hands-down made my skin the most silky of any. Good value also! A little goes a long way. I also use it on my neck, and the lines there are a bit less noticeable. 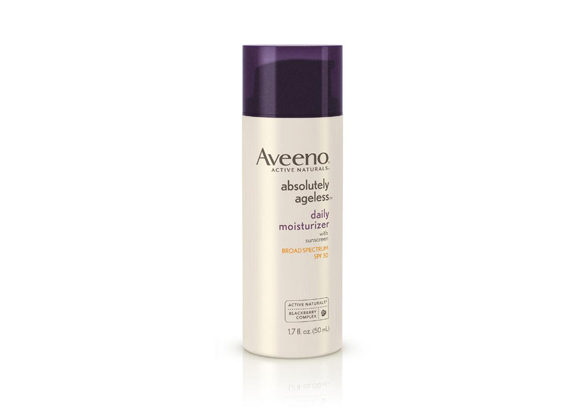 Aveeno Daily Moisturizing Lotion is a FIVE STAR. The Calming Body Wash is good too. Aveeno products have my full attention!! !